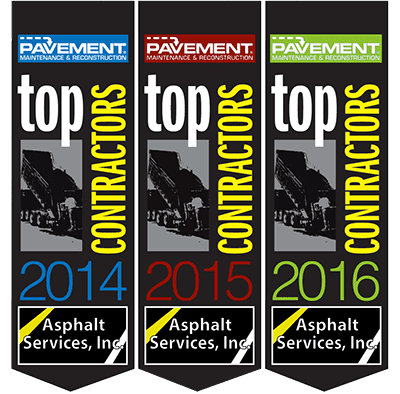 Asphalt Services, Inc. has over 30 years of experience providing asphalt solutions to some of New England’s most notable schools, strip malls, worship centers and industrial facilities. If your parking lot pavement needs replacement or resurfacing, our asphalt company has the equipment and trained staff to minimize the cost and inconvenience of replacing your parking lot. What sets Asphalt Services, Inc. apart from the rest is the quality of the entire service you get. Not only do you get the best paving product around, but you also get the best service from start to finish. We specialize in keeping commercial properties open and functional during our projects. We minimize the disruption to all tenants, delivery drivers, guest, and employees of the buildings we service. Our services range from complete parking lot reconstruction using reclaiming, milling or excavation techniques; we also offer sealcoating, crack filling, asphalt patching, asphalt resurfacing, and new construction parking lots.